We offer a variety of cuts & styles depending on the sport of preference. 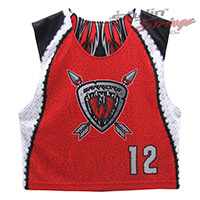 Lacrosse jerseys come in thin shoulder, or wide shoulder. 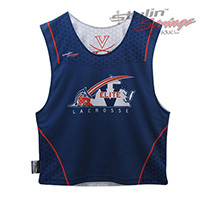 Basketball reversibles are longer than lacrosse. Women like the racer back style with more flattering bodylines. See below all the stock templates we offer. If you don’t see a sport style or cut you like we can create garments from scratch with your influence. 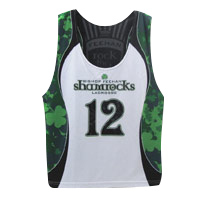 See our gallery for tons of custom designed team wear by clicking a featured garment at the bottom of the page. This men's reversible style can work for a variety of different sports. 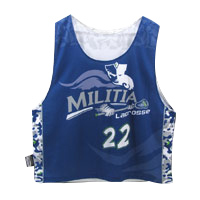 It can be custom designed for any sports club, traveling team, or youth organization. This cut is a waist cut with thinner shoulders. It will fall right below the belt line in order to flow right into matching shorts well without tucking it in. It can be upgraded to side panel insets with piping, or you can mock it in the art like the sample displayed. 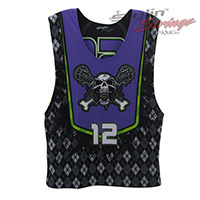 Choose from an assortment of fabric styles, but mock mesh is the most popular. 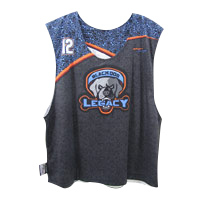 This wide-shoulder men's reversible can work for a many sports teams for any age and size from youth small to adult triple extra large. 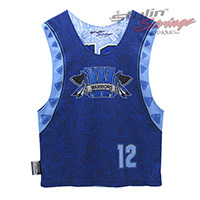 Our wide-shoulder cut is popular with lacrosse players because we specially designed the shoulders of the reversible to completely cover the pads. 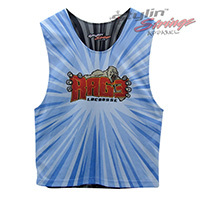 This design allows for the reversible to sit comfortably over the pads without sliding off the shoulders. 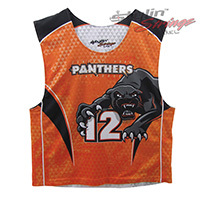 It also allows for some more creative bodyline designs, as well as area to put a number on the shoulder face.